On February 28, 2019—a cold Thursday night—my sister and I waited amongst a crowd to enter Barnard College’s Miller Theatre to watch Fast Color. I was so excited to see the FF2 Media logo on the banner that was in the entrance! To open the Athena Film Festival, an quick introductory speech was given by the founders, Kathryn Kolbert and Melissa Silverstein. 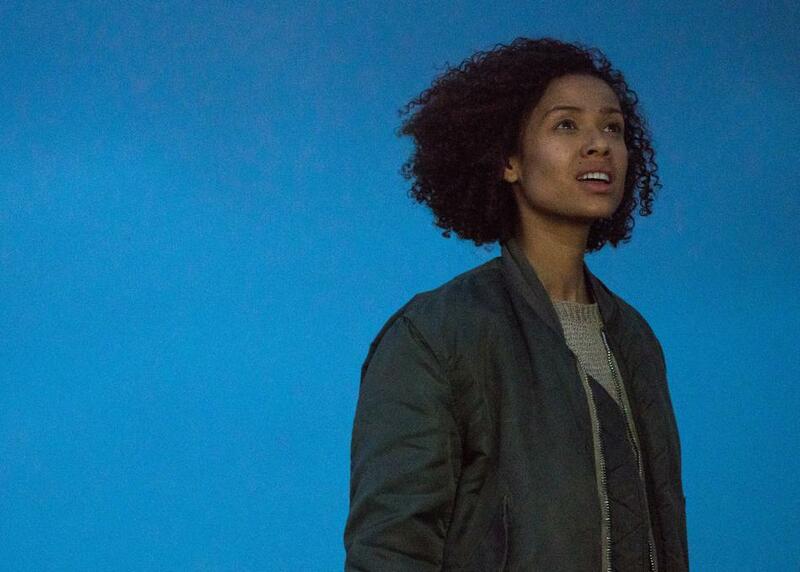 Swiftly, the almost full house was immersed in the world of Fast Color. I felt completely in awe of this female power being introduced into the audience. Once the movie (starring Gugu Mbatha-Raw, Saniyya Sidney, and Lorraine Toussaint) had finished, we stayed for a Q&A with the writer/director Julia Hart and the actress Lorraine Toussaint. The crowd was so supportive with their applause and cheering for the female screenwriter/director. The relationship between the filmmaker and the actress was so precious and empowering. They are both powerful and strong women, which meant they excluded any challenges they found unjust. The next movie I saw was Netizens on Saturday. The documentary, about sexual harassment over the internet, played in the Held Auditorium. It was a rather harrowing documentary, showing how several women and girls had trouble over the internet due to sexual harassment, primarily through revenge websites. The different women featured in the film make evident how difficult it is to live with angry and possessive exes who are capable of anything, or with strangers trolling them on the internet. During the movie there were some scenes that triggered the audience, especially one in which a man was belittling the situation. Some comments made in the documentary itself, such as that the harrasments weren’t a big deal and should just be ignore, were so ridiculous that it outraged the audience in the room. In the Q&A after the film, some of the cast was present as well as the director. The director was late for the interview after trekking halfway across town to pick up some stickers for her film, so we started the Q&A without her, but Carrie Goldberg, a lawyer who fights for the victims of sexual abuse, and Jamia Wilson, the executive director and producer of Feminist Press, kicked things off. It was pretty amazing hearing about such a prevalent issue in today’s society from the people involved in this documentary; Such issues are being brought to the surface and being dealt with a lot more loudly and seriously. During the portion of the evening where questions were asked by the audience members, there were several people opening up about their past experiences with sexual abuse and stalking. Staying in the same auditorium, I watched Ask for Jane. It was so packed with people, if you came even 10 minutes before the movie started, you could barely find a single seat. The film was a narrative retelling of the “Abortion 7” during the 60s and 70s. At first, I had no idea what sort of film it would be, let alone how popular it was going to be. I am so glad that I went to this screening, though. I really hope this film will be easily accessible soon. As soon as I left the auditorium, I just wanted to tell all my friends about it. Which I did. The films and atmosphere was so empowering to women, young and old. It really made me feel a sense of hope for women, inside and outside of the film industry. The interview afterwards with the actors filmmakers was really powerful in itself, as most of the story was true! With the exception of a few tweaks here and there for the purposes of dramatizing the story, the general idea of the story was true. That gave me goosebumps all over. It’s a movie that I would watch over again. On the next and last day of Athena Film Festival, I watched Mary, Queen of Scots. The already-released movie starring Saoirse Ronan and Margot Robbie is a dramatization of the feud between Queen Elizabeth I and Mary, Queen of Scots. I personally love period dramas, but this one in particular because of the girl power expressed. It shows the struggle of powerful women in the 1500s, which, surprisingly, is still somewhat prevalent today. At least we don’t have to be squeezed into corsets and wear lead for makeup. It is a film to watch. The final film of the festival was Knock Down the House. This is a documentary about the race for Congress by Alexandria Ocasio-Cortez’s (also known as AOC) as well as several other female politicians. The audience went wild during this film—artially due to the fact that AOC was right there in the room, sitting just a few rows in front of me! Another reason why that the audience were so crazy about this documentary was because the issues raised in the film were very relevant, such as class discrimination and racism, are being acted on today. It showed the struggle of the “underdog” battling against the big “boss man.” It was so inspiring that it almost made me want to run for Congress! Leaving the Athena Film Festival really made me feel inspired and empowered as a female artist, as a female in general. I wanted to tell everyone how amazing this festival was. I cannot wait for next year’s bout of amazing movies!